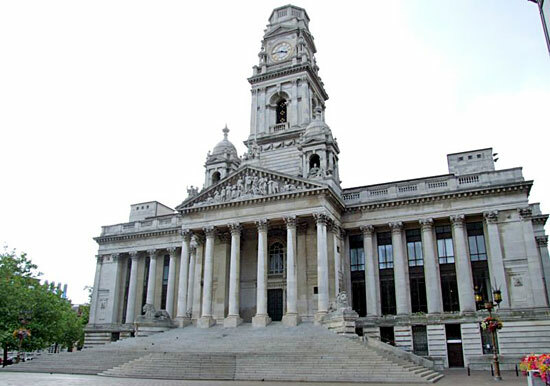 Drama by Design were appointed by Portsmouth City Council to design a new energy efficient house lighting and emergency lighting system for the 2000 seat Guildhall. 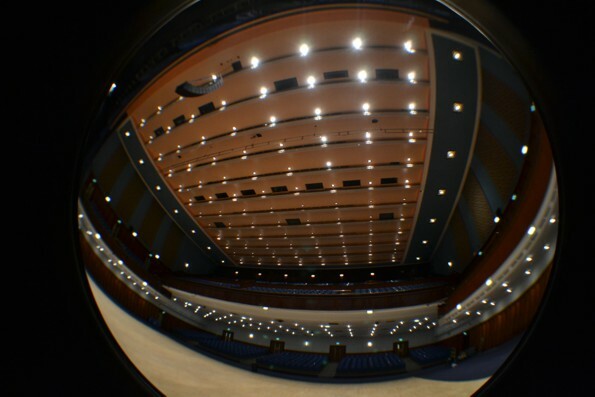 The existing system consisted of inefficient tungsten lamps that provided barely adequate illumination levels for theatre use and totally inadequate light levels for conference, which the venue is increasingly being used for. 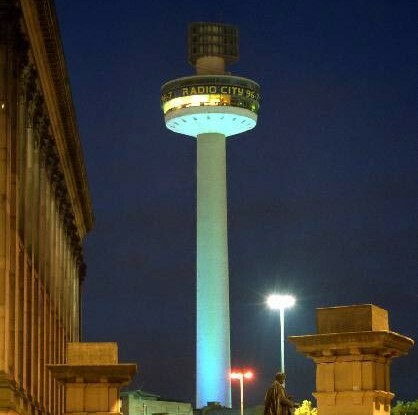 We developed a scheme to fit in with the architecture of the building utilising energy efficient LED luminaires that provided almost four times the illumination levels and a much lower carbon footprint. 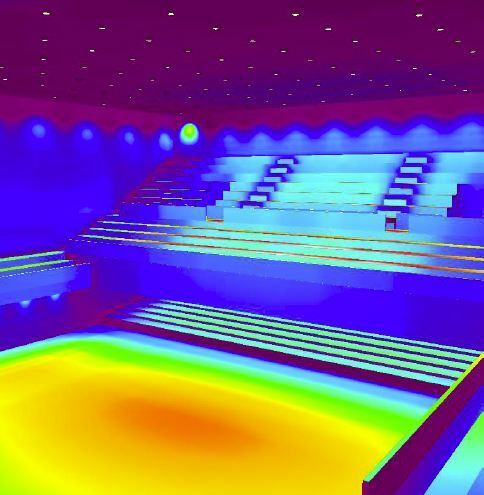 A model was developed in the DIALux lighting design software package in order to prove that these lighting levels could be acheived. In order to ensure the minimum down time of the venue while the installation was being carried out a wireless control system was utilised. This enabled the installation to be carried out in the shortest possible time as the existing cabling could be re-used. The original under balcony lighting had a distinctive look of bare tungsten bulbs – loved by some and hated by others, it certainly made the venue memorable! The new system was designed to provide a similar look, but to be more aesthetically pleasing utilising recessed LED downlights with a halo drop glass, so all parties were appeased. 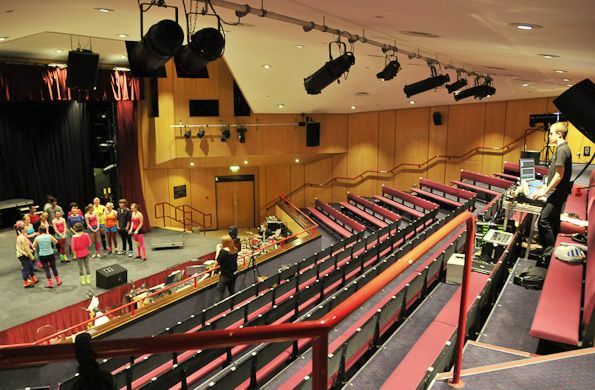 The scheme was enhanced by adding feature lighting on the wall hung tapestries and on the frieze above the auditorium. 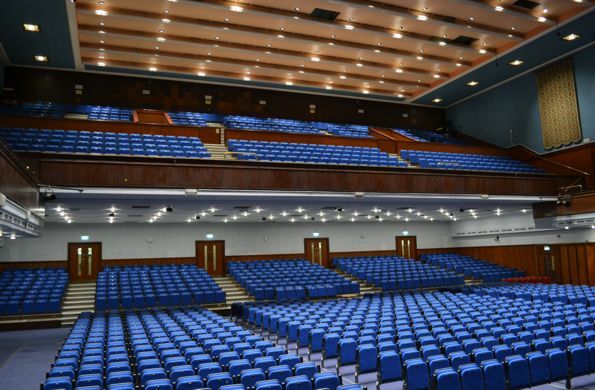 A new control system was installed as part of the project, which incorporated preset push buttons with timed fade together with DMX control from the venue’s existing stage lighting control system. In addition the whole system can be re-configured wirelessly from a laptop.